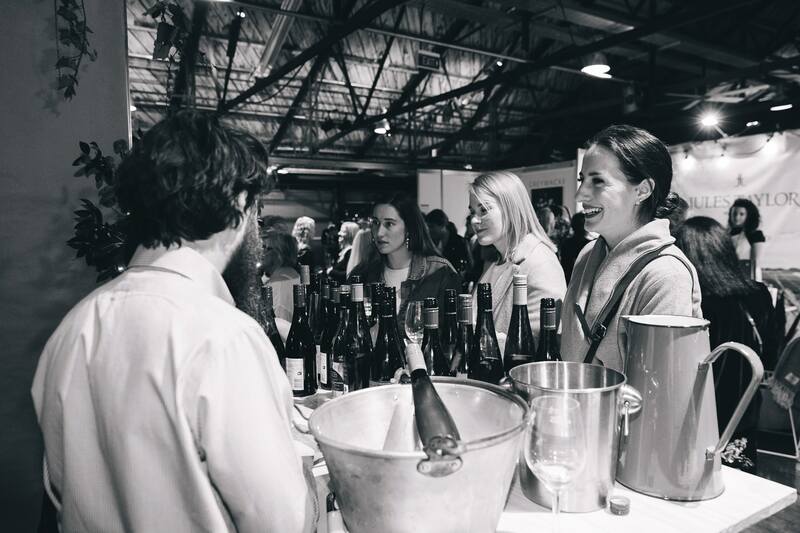 The Greatest Celebration of New Zealand wine is returning to Auckland for its fourth year! 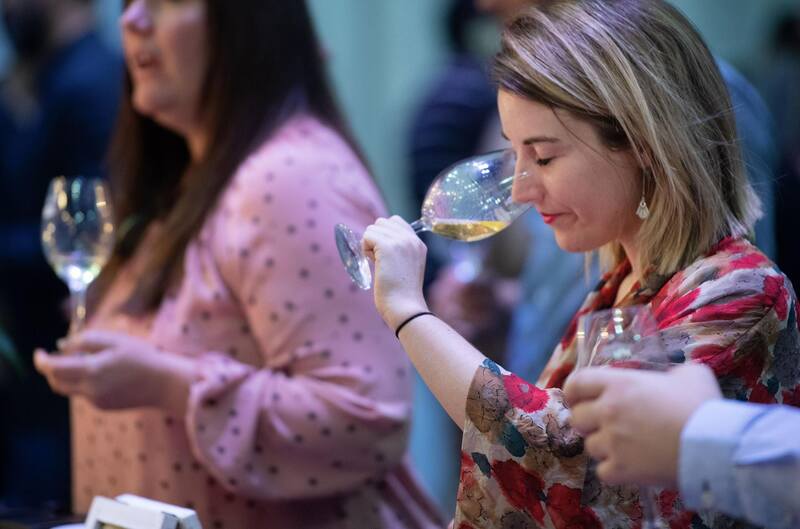 Immerse yourself in the uncorked world of New Zealand wine, tasting delicious drops from 60 of our best wineries while unearthing the different wine regions. Discover your favourites from the likes of Astrolabe, Elephant Hill, JK14, Gibbston Valley and Man O’ War. Winetopia presented by Singapore Airlines is your opportunity to get under the skin of the New Zealand wine scene and discover the colourful personalities that have made this country’s wine their life’s work, try hundreds of lovingly crafted wines and meet the wine makers across all regions of New Zealand. 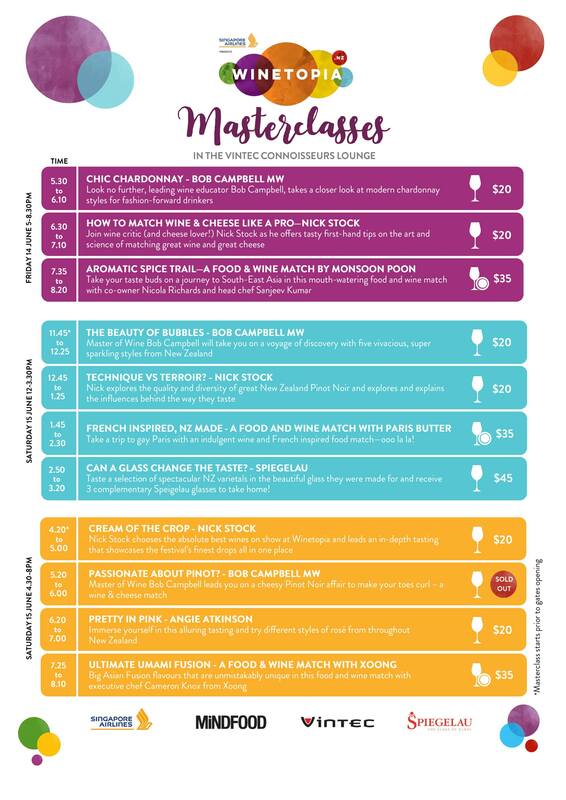 ‘Share a glass’ with some famous faces and learn from industry gurus including Master of Wine Bob Campbell and renowned Australian wine expert Nick Stock, with tasting seminars to enlighten and enhance your love of great wine. 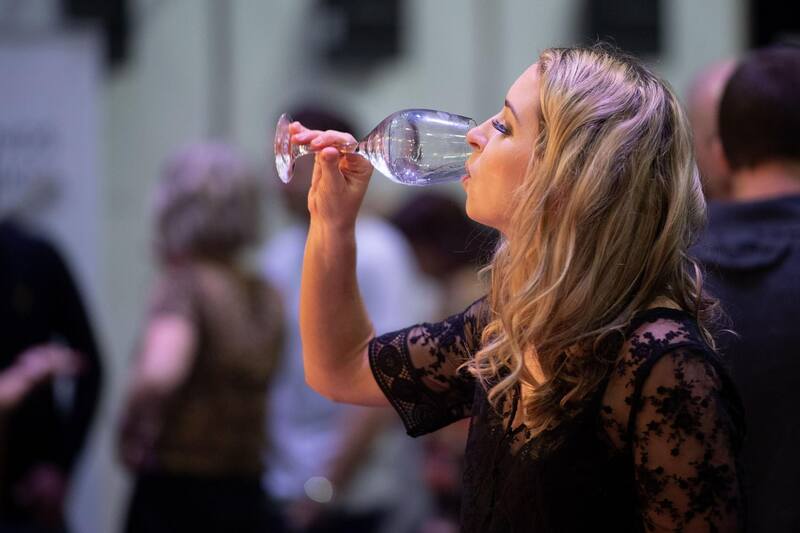 Pair your sumptuous wines with delicious food offerings, all washed down with sultry live entertainment. Stay in the loop by ‘attending’ Winetopia on Facebook, and following us on Instagram and Twitter. This event is strictly R18. 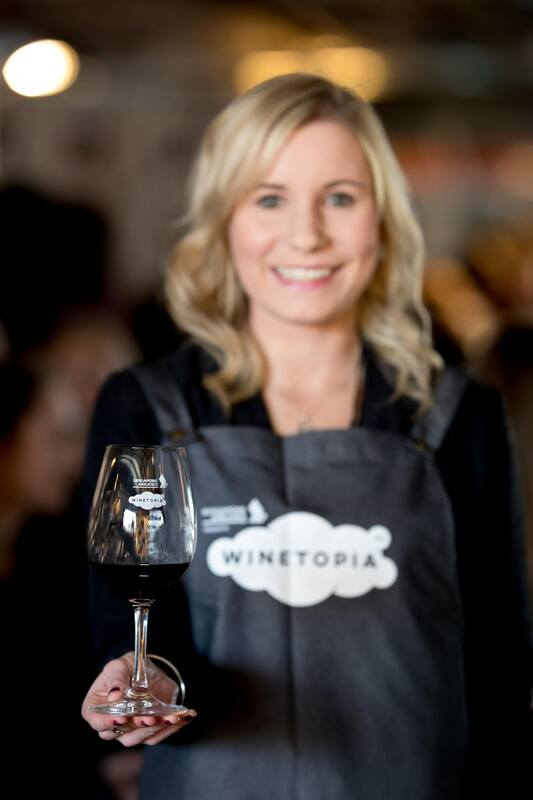 Masterclass tickets DO NOT include entry into Winetopia. 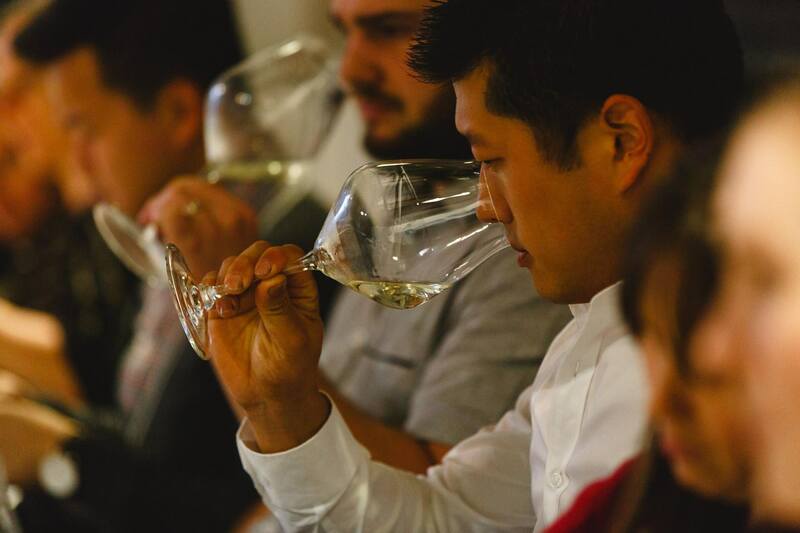 Masterclass tickets include tastings of the wines presented in the Masterclass. Please note drink tokens are non-refundable. More tasting tokens can be purchased at the event at $2 per tasting. Delicious food pairings will also be available to peruse and purchase. Most wines will be available to taste for one token. However some wineries will have super premium wines on offer, and these may cost multiple tasting tokens.